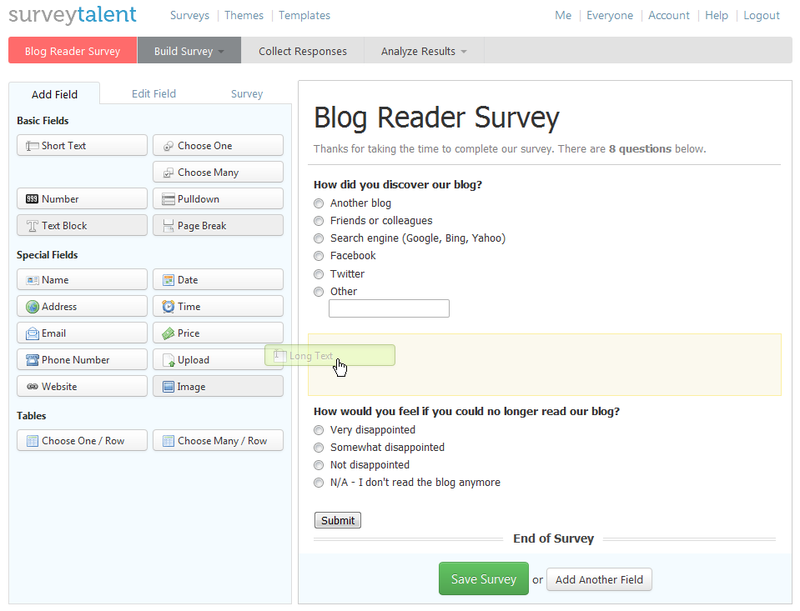 SurveyTalent is a simple, yet powerful tool to create, launch and analyze beautiful online forms and surveys. 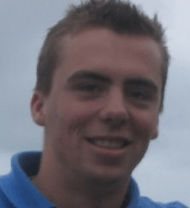 SurveyTalent was founded in 2012 by Wouter Wiegmans (1981), who holds two Master of Science degrees from the University of Twente, The Netherlands, and has been an entrepreneur from a young age. 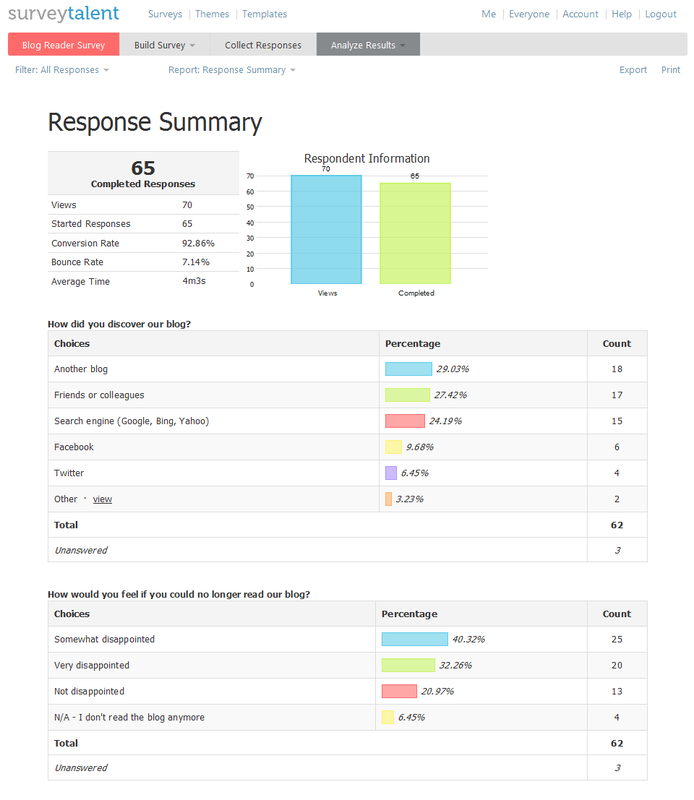 SurveyTalent is his third company. You can reach him through this site, as well as on LinkedIn and Facebook. Questions? Comments? Let's talk! Contact us and we'll get back to you as soon as possible! Logo on black: small, medium, large. Logo on white: small, medium, large. 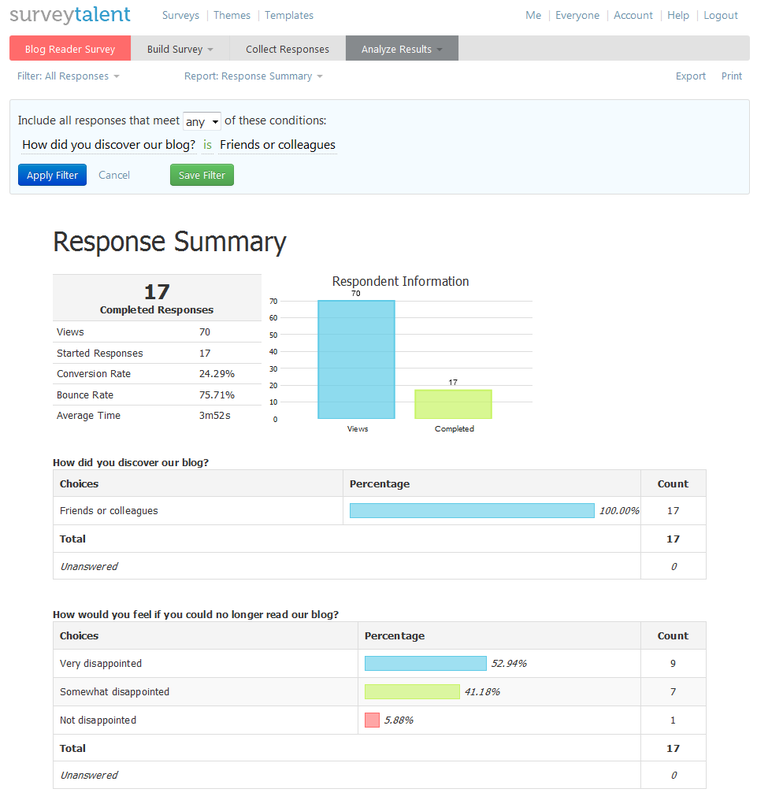 Screenshots in English: Survey Builder, Survey Manager, Logic Builder, Response Summary, Filtering. 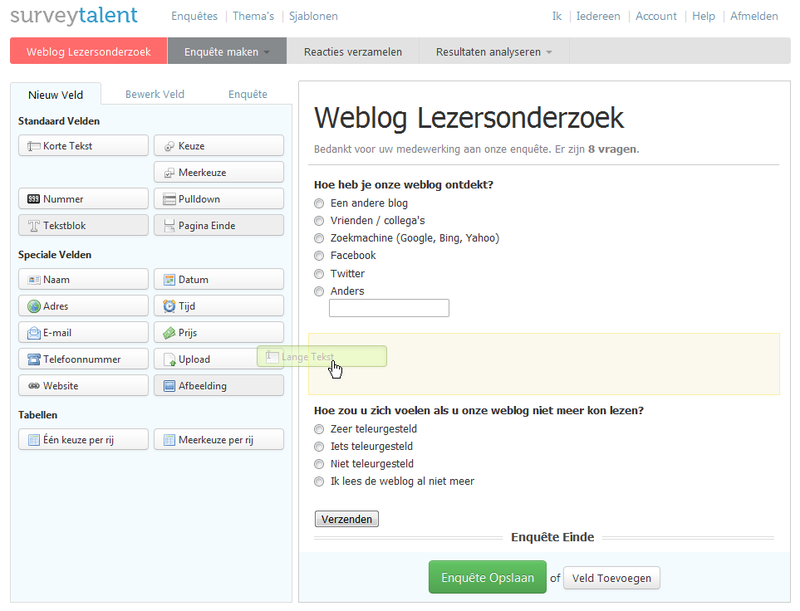 Screenshots in Dutch: Survey Builder, Survey Manager, Logic Builder, Response Summary, Filtering.